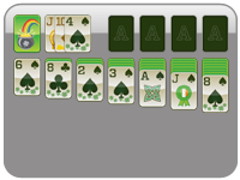 Get lucky with the Irish with St. Patrick's Day Solitaire! 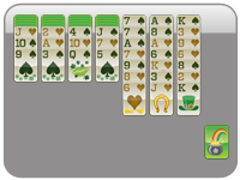 This fun solitaire game has nine different solitaire versions with a great St Patricks Day theme! 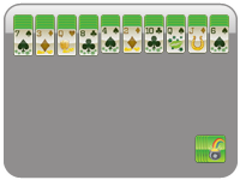 3 Card Klondike St. Patricks Day Solitaire is played with a full deck of 52 cards. 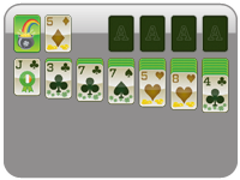 Build stacks of cards in alternating color and in descending order. 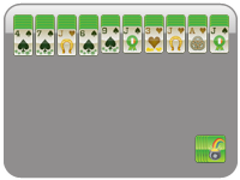 Only Kings can be placed on an empty stack position. 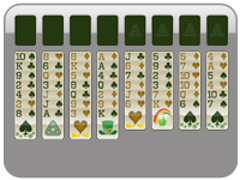 The goal is to move all the cards into the top slots according to suit, from Ace to King. Three cards will flip at a time, and you can only use the top card in the stack. 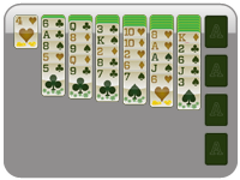 Celebrate St. Patrick's Day this year by playing only the best solitiaire game on St. Patricks Day Solitaire.com.